Click here to listen to the recent Benetrends podcast that addresses recent changes in the SBA world. The podcast covers the recent SOP changes and their effect on franchisors, borrowers, franchise consultants and business brokersThe podcast is 15 minutes long and features David Grams, Benetrends Chief Credit Officer, who has over 35 years of banking experience, mostly in the commercial lending sector. He possesses specialized expertise in the various SBA loan programs, including the SBA Advantage Loan (formerly known as 7(a)), SBA Grow Loan (formerly known as 504), Express and Microloan programs. David’s focus and expertise are evident in his extensive education and practical experience. He earned his bachelor’s degree, two master’s degrees, and doctorate degree while acquiring hands-on experience at Bank of America, Fleet Bank, Valley National Bank, and National Penn Bank. If you have any further questions on the recent SBA changes or anything that relates to helping your candidates get the funding they need quickly, safely and economically, please reach out to your Benetrends Representative. Eric: Good afternoon everybody and welcome today’s Benetrends podcast on the recent changes in the SBA world. We are joined by David Grams, Benetrends’ Chief Credit Officer, and we wanted to address the group today as there have been a lot of changes in the SBA/SOP that we are looking forward to coming in 2017 and even more importantly to clarify some of the common questions that are coming up as there are many groups out there talking about the changes. Some making them larger than they should be, some not knowing all the details and how it affects their world. And that’s just some of the topics that we’re going to cover today. I’d like to welcome David Grams. David: It’s my pleasure I’m looking forward to it. Eric: And David, just real quick for the audience or for anyone who may not know you could you give me a quick background. Obviously this is not the first SOP change that you have gone through in the SBA world. Give me a quick little background of your experience in the SBA and how many times you’ve seen situations like this. Dave: Sure, I started with the SBA loan program back in January of 1977. So in just a couple weeks it’s gonna be forty years now. You’ll notice we are up to SOP 50-10-5-I. What that means is that there have been fifty SOP’s since the program was instituted under the Eisenhower administration. There have been ten major changes to those fifty existing publications. Five sub changes, and then the letter I lets you know a, b, c, d, e, f, g, h, I are the number of changes that have occurred to the 50-10-5. So needless to say it is something we go through several times every year. Most of them nobody even ever hears about. A few of them have direct impact on the world outside of the SBA. Eric: Thank you. And as far as the changes that we’re dealing with now as I’m sure it’s not news to a lot of our partners throughout the country…either business brokers, franchise brokers, franchisors, they’ve all been getting emails, and email blasts about all these major changes. So you just talked about all the different versions of the SOP. What are these recent changes and maybe go through each one, at least the ones that will really impact, or we should know of, on a day to day basis. David: Ok, kind of an interesting question because the reality is although there are significant changes and no one can deny that, they are changes that no one outside of the inner workings of the SBA will really notice any difference in. What I mean is, although the process internally in the SBA world has changed the actual regulations, the rules, have not changed in any way, shape or form. Everyone is familiar with, or a majority of our people are familiar with the SBA registry. Something that we as lenders in particular have relied very heavily upon. When we look for SBA loan eligibility, money came to franchise financing. The regulations that went into a loan being eligible, or a franchise lead being eligible to participate in the SBA loan program have not changed at all. Zero change to those regulations. The only thing that has changed is the fact that every year up until January 1st of 2017 a franchise has been required to submit it’s FDD (franchise disclosure document) and it’s FA (the franchise agreement) to the SBA and have it reviewed to determine affiliations and size standards or control issues. Those issues were looked at to determine what we call eligibility for the SBA loan program. If the FDD and the FA reviewed is in compliance with SBA regulations that franchise was put on the registry and the registry served as a list for all of us of franchises that were eligible to receive SBA loan guarantees whenever they were looking for funding for their franchisees. Those regulations have not changed at all, but the SBA has declared that effective January 1, the SBA itself will no longer look at the documents, the FDD and FA, to determine whether or not a franchise is eligible. Instead what is happening is they are placing that bonus back on the franchisors shoulders if you will, and asking the franchisor to sign an amendment, and that amendment or addendum to the franchise agreement simply indicates that the franchise is acknowledging, is in compliance with these regulations required by the SBA to be eligible. You will never again go to the franchise registry to find whether or not a franchise is eligible for franchise funding. Instead you’ll simply, at the time of application, for your individual client ask the question “Does the franchise sign the amendment?” If the answer is yes then the franchisee and the franchisor both sign that amendment it is included in the loan package, it is submitted to the SBA, and you move forward with a standard SBA loan application. If the answer is no then you cannot submit that particular loan application for an SBA guaranteed loan program. The other thing we all need to be aware of is the fact that are no addendums or amendments permitted to the amendment itself. There are no red lines, there are no strike outs, no putting your initials in to make any kind of change. It is either fully accepted, or just fully rejected, and each franchise will be going through that evaluation process here in the next several weeks in determining whether they are or not going to sign that addendum. Eric: Fantastic. Now that addendum. Is that something that is going to be newly created? Is that something that if I’m the franchisor I have to get done? Or is that something I’m going to be provided and then me, my team of advisors, my franchise attorney will look at together? Dave: Sure it is actually a published right now for review. It is called an addendum to franchise agreement. That is the simple title. It is two pages, and believe me when I tell you that is the most amazing thing about this change I have ever seen. It is a government document that is only two pages long and it is all that needs to be reviewed. It is available right now. Again the franchise cannot make any changes to it. It has to either say yes were going to sign this, or no we’re not willing to sign this. Eric: And to your point this isn’t different then of the requirements I would have had to meet should I want to be on the registry. It’s just now, I guess for a lack of better words a little less paperwork and a little bit easier and doesn’t require that ongoing maintenance correct? Dave: That’s correct. The biggest change the franchisor is going to see is they will not need to submit their FDD on an annual basis for review by the SBA. 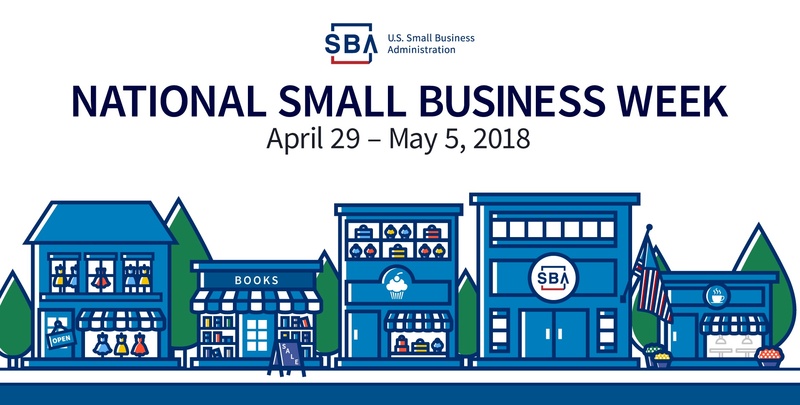 Which those of us who have lived through that process know what the backlog becomes between January and usually March or April of every year when all of these are being reviewed by the SBA. That no longer happens, you now simply determine yes we are signing the agreement and so all the loans for the process with the addendum, or we’re not signing the agreement so you’re no longer able to process loans for the SBA. Eric: And is that part of the reason the changes happened? I know a lot of the emerging franchisor brands that we work with - one of the struggles they deal with is when they are looking to first get accepted on the registry and then to your point early on in the year when everyone is renewing is part of that backlog and the delay in the franchisors getting added to the registry, is that part of the reason that the change was made? Dave: That’s our understanding. There’s going to be recognition since, oh maybe 2015 that this was an oonerous process that was clogging up the smooth operation, if you will, of the SBA lending program and it needed to be revamped and so this happens to be the very same solution that was offered at that point in time. It’s just that it was then determined that nobody can improve on this and so it’s what will be inactive until January. Eric: Great. Now as far as a client we always deal with, when I say we mostly you on your end is when clients are going through the SBA process one of the biggest challenges is time or even just the experience from start to finish. Does this have any change if I am a borrower, the person actually applying for the loan? Or is this pretty much just business as usual and it’s a change of a couple of internal processes? Dave: It’s really just a change internally the actual franchisee or client will notice no difference on either their responsibilities or their role. The goal is it should in fact free up the timing issue, again because we are not going to have, at least theoretically any of those backlogs occurring longer, waiting for an FDB to be approved. Some of our clients have lived through their loan credit approved only then to have it sit and wait for actual loan closing because the recent FDB they have happened to have signed has not been reviewed yet by the SBA. That type of delay will no longer occur but because the client really has no involvement in that process they’re not going to see any significant difference at all in the process they go through for getting the loan approved, and then committed to, and then ultimately funded. Eric: Great, so if I were wrap this up for a “lay person” as I like to relay them myself as far as SBA goes. if I were to wrap it all up as far as this specific change, there was the SBA registry now there’s not and essentially if I want to have my concept eligible for SBA funding my franchise has to agree to that addendum, and then each individual franchisee as they come on will sign that addendum. Is that a pretty accurate breakdown? Dave: Yeah, that is exactly right. Yep. Eric: Ok, and if you’re a franchise consultant really the only impact this has is just making sure that all the brands I currently feature as far as my complete list of franchises that we sell it’s really a matter of which ones are agreeing to sign the addendum and still remain SBA eligible? Dave: Absolutely true and FranData has come to our rescue here if you will, where they are offering to maintain a list as they had done with the franchise registry. They will be retaining a listing of course of all the franchises that say yes we will sign, and those that have said no we can’t sign. Eric: And if I am a business broker selling existing business this is pretty much, much to do about nothing. Correct? Dave: Correct. The business brokers should not recognize or see any difference whatsoever in the way they have operated in the past. Eric: And these changes, when do they take effect? Is that accurate you said the first of 2017? Dave: That’s correct. We have been promised January first for two years now. Now they finally adhered to it. It’s January 1’st 2017. Eric: Great! Now I know you learned a lot about this that was discussed at the recent Nagel conference. But you did mention there are some other changes that have happened in the SBA world as well. Could you just give us a quick rundown of what some of those are? And sort of the same thing we discussed so far on this call. You know, what’s the impact? How does it change our business? What’s the client going to see? A franchisor or as you just mentioned with the recent change, is it a big change that has absolutely less than zero impact on our day to day activities? Dave: Talking about our world meaning those involved in brokering, those involved in sales, those involved in offering franchises available etc. There will be zero change whatsoever as far as operation is concerned. All of the changes that have occurred have occurred internally, in the processing of the SBA world. The only outside change that has occurred is the incredibly important decision to change the name of the SBA 7A Program to now the SBA Loan Advantage, and the SBA 504 Program to The SBA Loan Growth Program, and I say that tongue in cheek because the programs themselves have zero change it’s just the nomenclature or a reference that has been changed now. And honestly those of us who have been involved in the program for the past 40 years will probably never get those new words straight, we’re still going to always call them 7A and 504, and the actual operations do not change at all. The process internally - SBA wants an electronic submission program that is gone through testing and is in full force being utilized, and the lender has significant new responsibilities that are on their shoulders in what would be process loans but that will not be visible to the client in any way, shape, or form. Eric: Fantastic. Now Dave I’m gotta ask you a tough question here. Obviously in the world we operate in there’s a lot of different people that this effects. I, myself, I know partners of ours have all been getting these emails talking about a webinar to discuss these huge changes. Here’s an email recapping this. Some are making this to be a very huge topic where it sounds like it doesn’t seem to be that much from your perspective. Is it in your experience for a lot of people use some of this sort of just standard news and just pump it up to be more of a marketing ploy to say “look at all these major things” and “You can only use us to take advantage of these”. Kind of give me an idea, I mean, as you’ve mentioned your years of experience and gone through these different changes because from what I’m hearing, like you spoke the other day on another call there’s a lot of major changes. This is a big change for the SOP, and they really changed nothing at all. Where on the spectrum do you say is most accurate, is it something major that we’re just downplaying? Or is this in reality not going to impact the everyday lives of people looking for funding for franchises, people that sell franchises, and people that broker franchises? Dave: If you live inside the SBA world, meaning you’re actively involved in the loan processing, documentation pushing, transmissions, guarantees being approved, handling the collections, the funding, etc. yeah there are very significant changes but we don’t live in that world, at least those of you on this call don’t. I live in that world, and it’s certainly a major impact on what I do. But as far as the outside world is concerned it literally has zero impact. There will be no visible change of any kind. So to hire someone or to pay someone to assist you in understanding the changes that have occurred I would say, from my perspective at least would be a waste, and recognizing the fact that you will have no difference whatsoever in the way you’re going to process a loan. All you need to know is I have to be aware of - will the franchise sign the agreement or will they not sign the agreement and that’s the only question I have to ask, and that’s the only question I have to have answered. Everything else is going to be taken care of for me by the lender for me. So it’s one of those things where smart media people have decided to use as a marketing ploy, and in reality stir up anxiety maybe where it did not need to be stirred up because from the day to day world of operations in SBA lending for those that are consumers of the SBA loan programs there will be no visible change. Eric: Fantastic. Well Dave I think that’s all I want to focus on with this topic. Any last thoughts you’d like to have or you think we’ve covered this in enough detail? Dave: Just pray for me that I can remember advantage and growth as opposed to 7A and 504. Eric: I am sure we are all going to struggle with that. Well I appreciate your time, appreciate you joining us for today’s Benetrends funding podcast on the most recent changes to the SBA world. Please look for future podcasts on similar topics and again thank you to everyone that’s joining us, and look forward to speaking to you all soon. Thank you Dave! Dave: My pleasure. Good night. 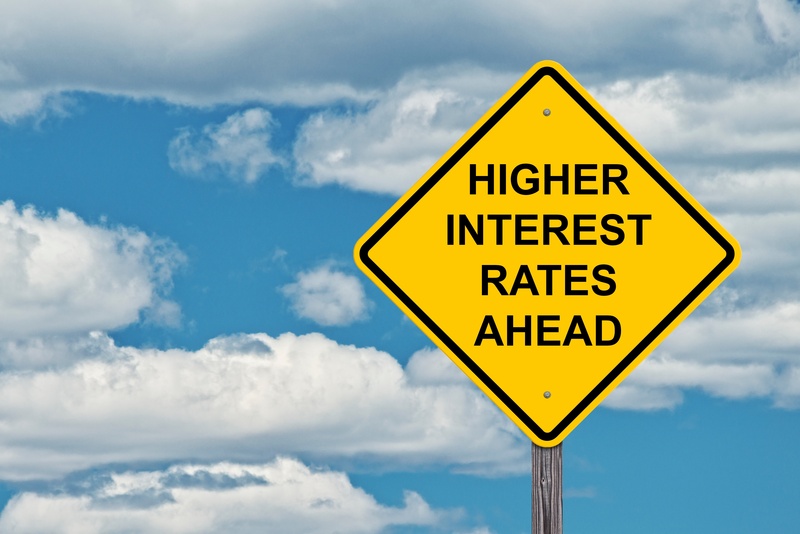 Fed Hikes Rates for Second Time in 2018! 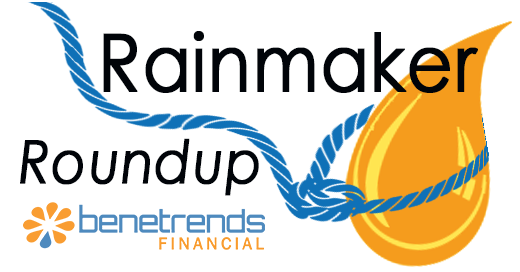 Rainmaker Roundup-November 2017: How will changes to the SBA's Standard Operating Procedures affect you in 2018?